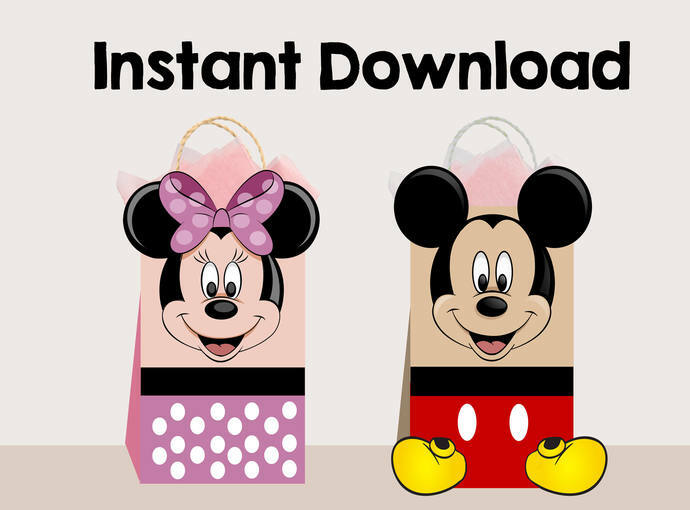 ►A PDF file (2 Pages) with high resolution (300 dpi) favor bag image specially designed to be printed on 8.5 x 11" letter sheet size. ✱ One page with a copy of Mickey. ✱ One page with a copy of Minnie. NOTE: Bags are not included. 2) download the files. You will need ADOBE reader to open a PDF which you can download for free at here: http://get.adobe.com/reader.